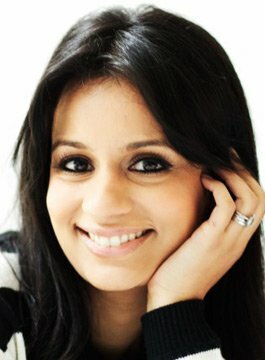 Sonali Shah is a presenter on BBC One’s Escape to the Country, Crimewatch Roadshow and a host of Radio 4’s Today programme sport bulletins. As well as being a member of the presentation teams for Delhi 2010, London 2012 and Glasgow 2014, Sonali is recognised as a face of BBC Sport and before that, a long-serving presenter of Newsround. Sonali Shah has fronted both the BBC Sport’s triathlon highlights shows and British Olympic Dreams and is known for her roles in the BBC’s coverage of many marquee live events over recent years. These include the Royal Wedding, the Diamond Jubilee, the Lord Mayor’s Show, Wimbledon, the London Marathon, the Boat Race, the Epsom Derby and the 2011 Cricket World Cup. She was part of Channel 4’s coverage of Crufts for three years. Sonali has also presented reports for BBC One’s Watchdog and is often called upon to review the papers on Sky News and LBC. Her five-year stint on Newsround included presenting from the Beijing Olympics and filming special reports from Haiti and Afghanistan. One of her films, “Growing up in a Warzone”, was named “Best Children’s programme” at the 2011 AIB awards. Originally aiming for a career in medicine, Sonali began her professional broadcasting career in radio and soon joined the BBC World Service. In 2003, Sonali moved to Radio 5 Live and helped launch Jeff Randall’s Weekend Business, which went on to win a Sony Radio Award. Sonali became a regular presenter for the network, appearing on 5 Live Breakfast, Simon Mayo and Drive. When not filming, Sonali is regularly invited to host or present at corporate and other live events, where she is renowned for her warmth, charm and versatility.